A huge part of being a mom and homemaker is to make good choices everyday. We need to make sure that the ref is always stocked with healthy food, that each family member's needs are met and to keep everything within budget. Mom's are jack of all trades, once you are gifted with a child you are suddenly also gifted with resilience, and versatility. Because of these traits, I was pretty sure that we had a big chance of winning the Shell Fuel Save Good Choice Challenge. 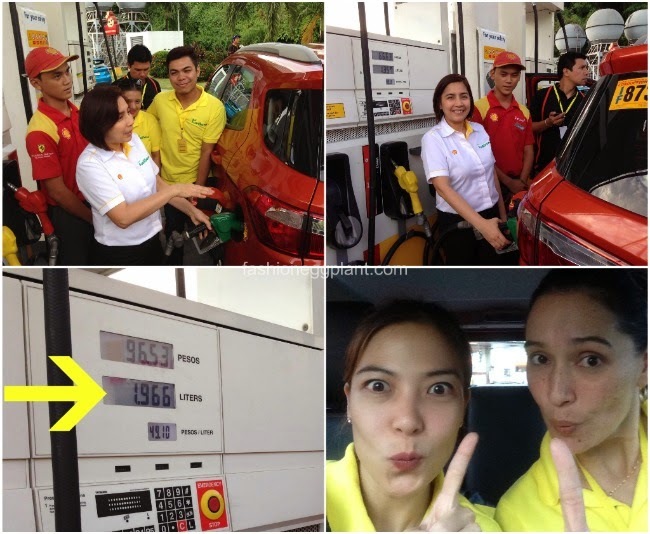 The objective: To drive from Batangas to BGC with the least fuel possible and win 4 pit stop challenges along the way. We all met at Mango Tree BGC at 6:30 am for briefing and a hearty breakfast provided by SlappyCakes! 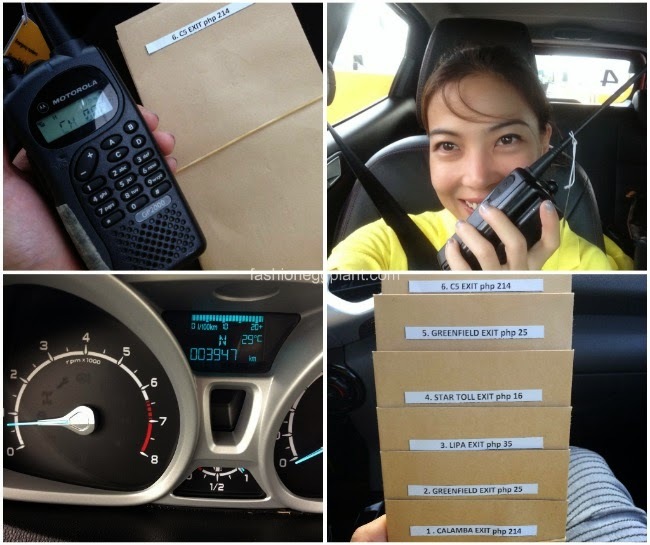 We were also equipped with 2-way radios (I was really excited about these cause I've never really tried using one before) so the team designated navigator could easily communicate with our marshall for instructions and directions through out our journey. a.k.a. The Champs a.k.a. The Renegade Moms! Michelle was the perfect partner for me because we both were willing to do whatever it took to win. Even if that meant driving in a sauna-ish, Bikram yoga-ish environment the whole time. Our strategy: To take turns driving using no aircon and no radio the entire way. Spotify basically saved us and kept the mood music going along the way. 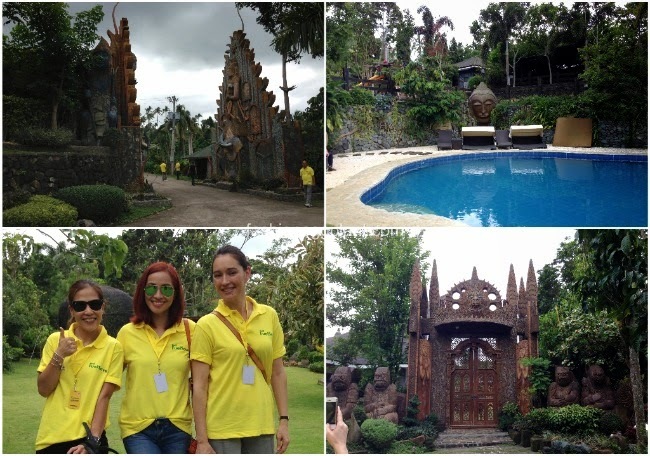 After over an hour, we finally arrived in our destination: Cintai Coritos Garden in Lipa, Batangas. 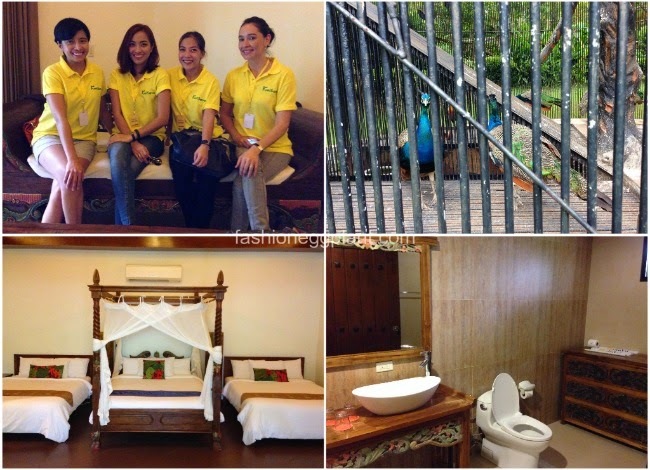 Cintai is a Balinese inspired resort and events place where you can spend a relaxing time with your family in their private villas or rent one of their function rooms for a wedding, party, debuts, etc. They have 4 swimming pools, awesome displays that make you feel like you're in Disneyland (except without the rides and noise), and sprawling well-kept gardens. I was impressed ad quite surprised to discover that such a beautiful place existed just an hour away from the city (must visit). 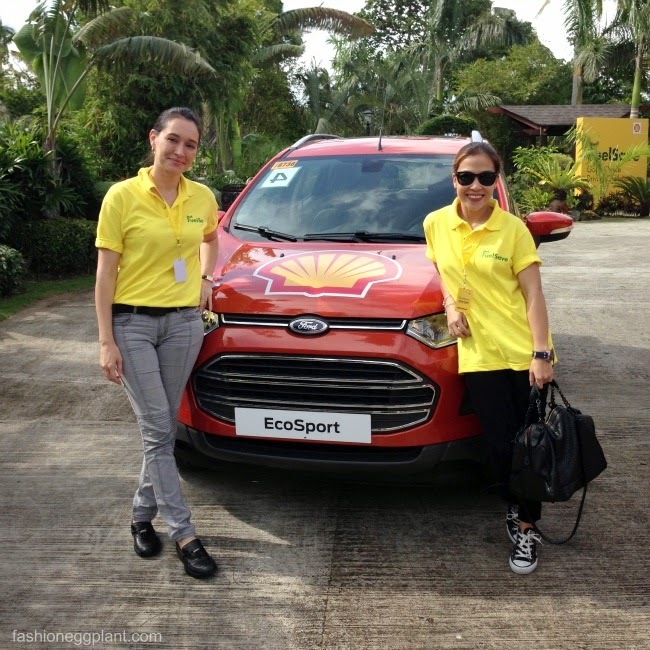 After a heavy lunch and massage, it was time to learn the science behind Shell Fuel Save and how to drive more efficiently in a Special Mentoring Session that was led by the only Filipina Shell scientist, Mae Ascal. Keep your speed at around 80km/h. Do not exceed an RPM of 1800. Use the right fuel because not all fuels are created equal. Shell spent many years and loads of money doing research to bring you Fuel Save. How is Fuel Save different from other fuels? It contains detergents that cleans your valves and pumps for less friction and less effort needed to pump the fuel in resulting in less fuel consumed. It wasn't easy driving through Batangas and Manila with no aircon on during mid-day. The sun was blazing and we were sweating buckets but we tried our best. However, midway, I got a bit disheartened because we lost the pitstop challenges and we even overshot our final meet-up point which was the Shell station along C-5. We had to maneuver our way back towards where the other teams were lined up to check how much fuel they consumed for the trip. Slowly, each of the cars were pushed towards the pumps. Most of the teams ahead of us had an average fuel consumption of about 3-4L. I was amazed! 3-4 liters or gas from Batangas to Manila? That's like P200 only! Bianca had her aircon on the entire time (though at its lowest setting) so I wan't expecting them to beat the other cars but they did. 2 Liters!!! I was like, no way! Her car is probably rigged cause she's their ambassador. I couldn't believe it. And then it was time for ours...1.9Liters!!! Woot!!! Fuel consumption held the biggest points for the competition so there was a chance that we could win after all despite losing the pitstop challenges. Still, I was nervous and couldn't wait for them to declare the winner back at Mango Tree Bistro. I hardly touched my dinner. And then it was time!!! 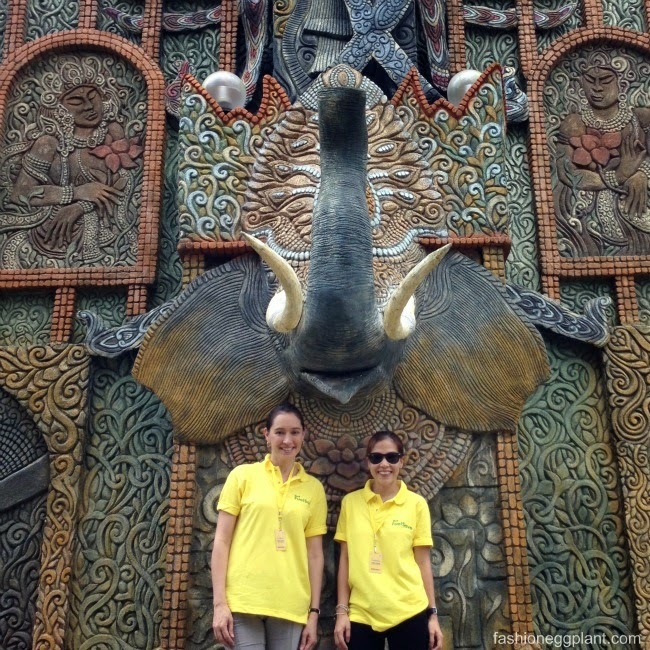 and the champs...Team #4: Sarah Tirona and Michelle Aventajado!!!! Everything was a blur afterwards. More camera flashes than I've ever experienced and numerous interviews here and there. One highlight was getting to chat and share my secrets with the boys of BNO. They were super hilarious. And that's that. 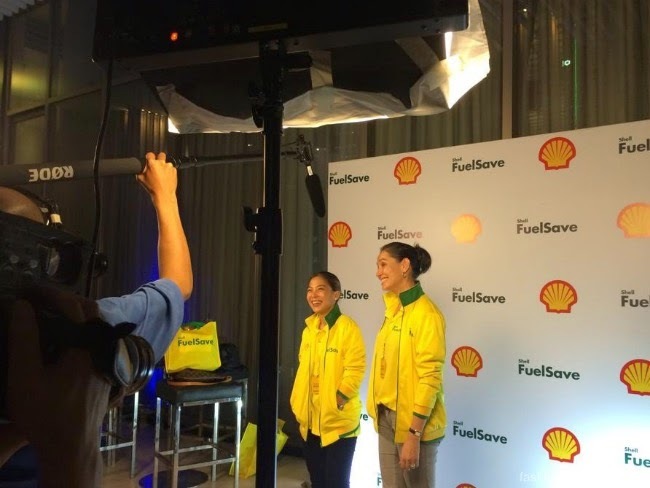 Our long day ended with a group shot of all the Shell Fuel Save Good Choice participants for 2014 along with Shell Philippines head honchos. Of all the accomplishments I've achieved through blogging, this by far is the best (and my most favorite) and I'm still on a winning high even days after. 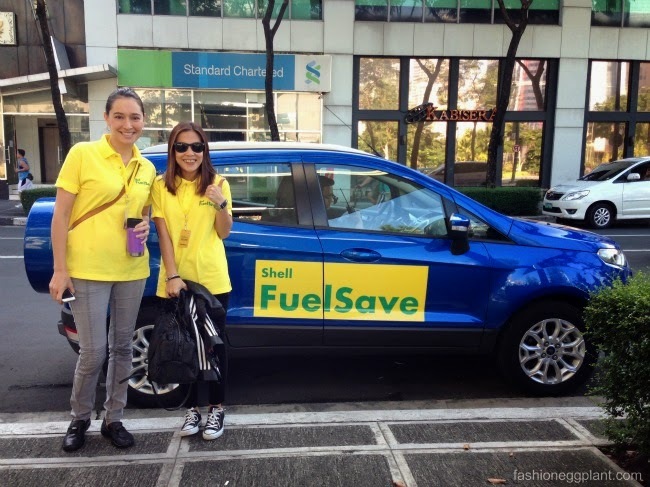 Thank you so much Shell Philippines for choosing me to participate! I hope to be back next year to defend my title! 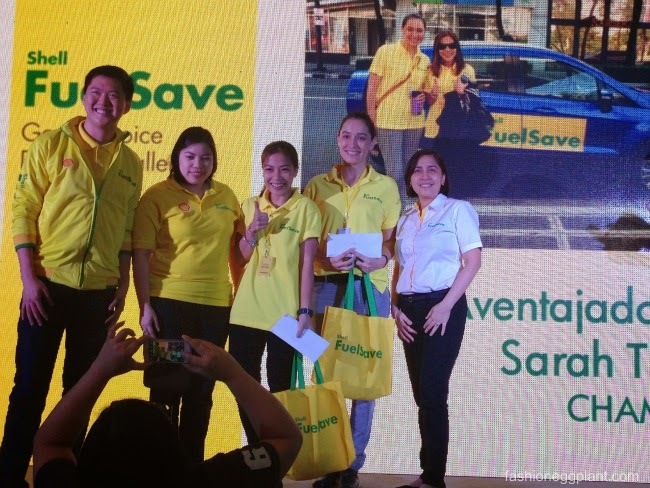 for more photos of the event, check the hashtag #SHELLFUELSAVEGOODCHOICE on your social media sites.